The impaired physician movement emphasizes disease and therapy rather than discipline and punishment and believes that addiction is a chronic relapsing brain disease requiring lifelong abstinence and 12-step spiritual recovery. 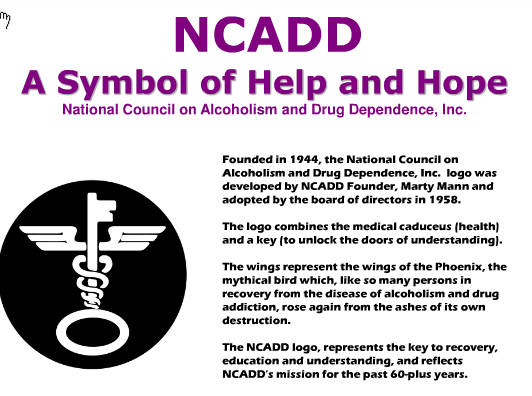 The drug or alcohol abuser or addict is a person lacking adequate internal controls over his or her behavior; for his own protection as well as the protection of society external restraints are required including involuntary treatment. 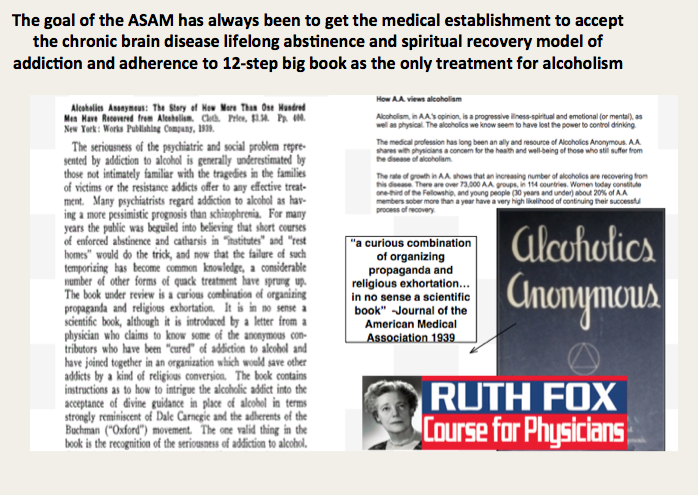 The American Society of Addiction Medicine (ASAM) can trace its roots to the 1954 founding of the New York City Medical Society on Alcoholism (NYCMSA) by Ruth Fox, M.D whose husband died from alcoholism. The group promoted the concept of alcoholism as a chronic relapsing disease requiring lifelong spiritual recovery through the 12-steps of AA. 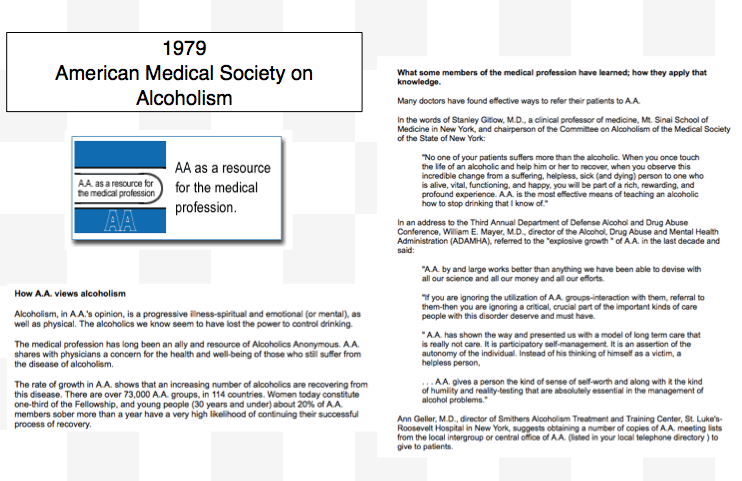 In 1973 AMSA became a component of the National Council on Alcoholism (NCA), now the National Council on Alcoholism and Drug Dependence (NCADD) in a medical advisory capacity until 1983. 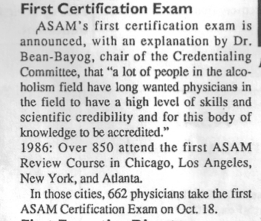 And in 1986 662 physicians took the first ASAM Certification Exam. Somehow, I don’t think this is quite what they had in mind! By 1993 ASAM has a membership of 3,500 with a total of 2,619 certifications in Addiction Medicine. 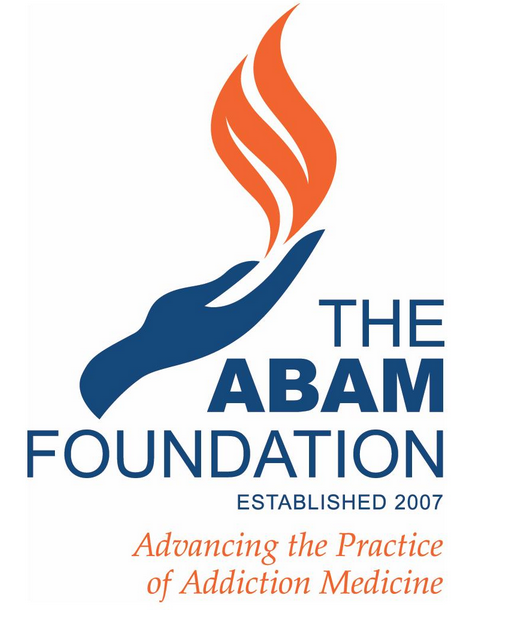 Specialty recognition by the American Board of Medical Specialties, fifty Addiction Medicine Fellowship training programs and a National Center for Physician Training in Addiction Medicine are listed as future initiatives of the ABAM Foundation in 2014. In this they have succeeded. And in the year 2014 G.V. Stimson’s characterization of the “impaired physician movement” remains as accurate and apt as it was in 1985. 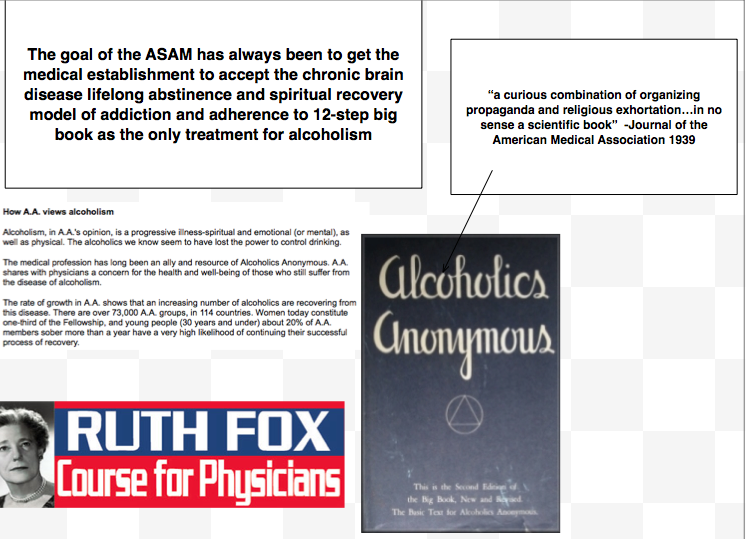 But the “number of evangelical recovered alcoholic and addict physicians” has increased dramatically (outnumbering Addiction Psychiatry by 4:1) and their involvement in “ medical society and treatment programs” has been realized and enforced through the state Physician Health Programs and their “PHP-approved’ assessment and treatment centers. Their “ability to make authoritative pronouncements on physician impairment…based on their own claim to insider’s knowledge” has become public policy and sanctified by Regulatory Medicine -essentially the Word of the Lord. And the 1953 Alcoholics Anonymous prophecy that “With one arm around the shoulder of religion and the other around the shoulder of medicine, we might change the world” is also coming to pass. 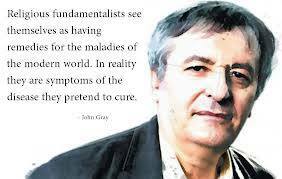 But the world is not changing for the better as that arm around the shoulder of religion has its fingers deep in the pockets of the multi-billion dollar drug and alcohol testing and assessment and treatment industries. 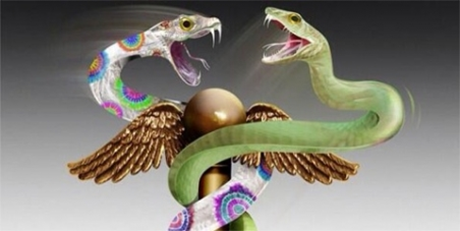 And the arm around the shoulder of medicine has its fingers clamped tightly around its throat; a stranglehold in full throttle suffocating the Profession of Medicine with no meaningful opposition I can see. Stimson GV. Recent developments in professional control: the impaired physician movement in the USA. Sociology of health & illness. Jul 1985;7(2):141-166. Four Decades of ASAM. ASAM News. March-April 1994, 1994. Freed CR. Addiction medicine and addiction psychiatry in America: Commonalities in the medical treatment of addiction. Contemporary Drug Problems. 2010;37(1):139-163.
. American Medical Society on Alcoholism & Other Drug Dependencies Newsletter. Vol III. New York, NY: AMSAODD; 1988:12.
. AMSAODD News. Vol III. 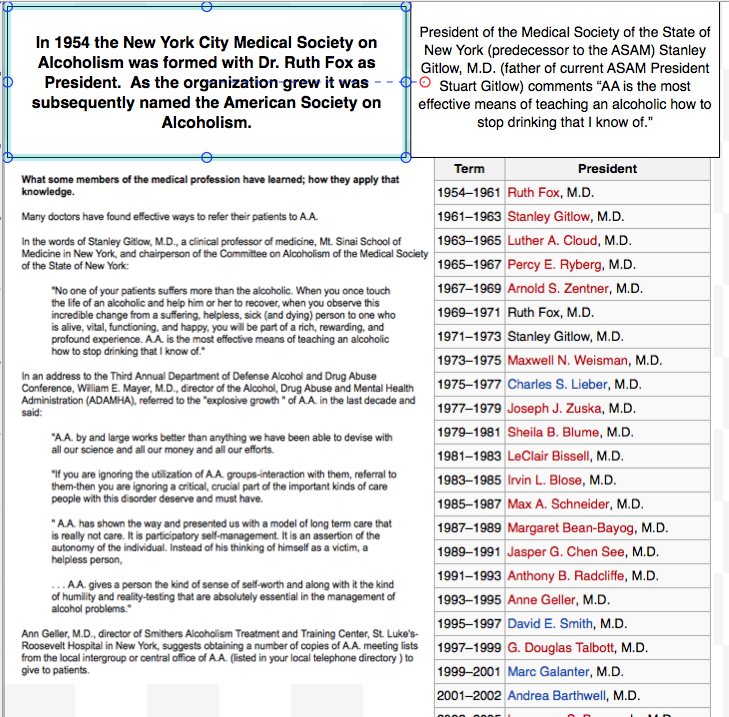 New York, NY: American Medical Society on Alcoholism & Other Drug Dependencies; 1988. Membership Campaign Update. ASAM News. Vol VIII: American Society of Addiction Medicine; 1993:11.
. ASAM News. Vol 12. Chevy Chase, MD: American Society of Addiction Medicine; 1997:20. Kunz KB, Gentiello LM. 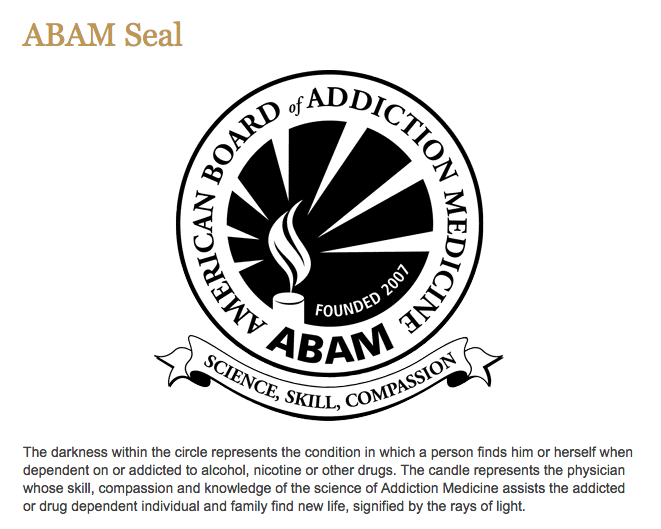 Landmark Recognition for Addiction Medicine: Physician certification by the American Board of Addiction Medicine will Benefit all Addiction Professionals. Addiction Professional. 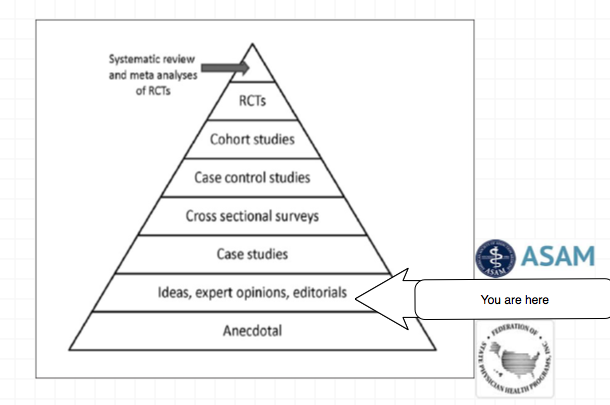 2009. http://www.addictionpro.com/article/landmark-recognition-addiction-medicine. Tontchev GV, Housel TR, Callahan JF, Kunz KB, Miller MM, Blondell RD. Specialized training on addictions for physicians in the United States. Substance abuse : official publication of the Association for Medical Education and Research in Substance Abuse. Apr 2011;32(2):84-92. ← The Brain Disease Model of Addiction: is it Supported by the Evidence and has it Delivered on its Promises? Thank you for the reblog. It was my Catholicism that put me at odds with these zealots. After they faked the alcohol test on me they forced me to go to A.A. meetings and to accept I was helpless over alcohol. I told them that my belief system was completely opposite and that I believed in Self-empowerment through Sanctifying grace and Christ as an inner presence. (consistent with the dynamics of the person of Saint Peter and the teachings of Saint Thomas). 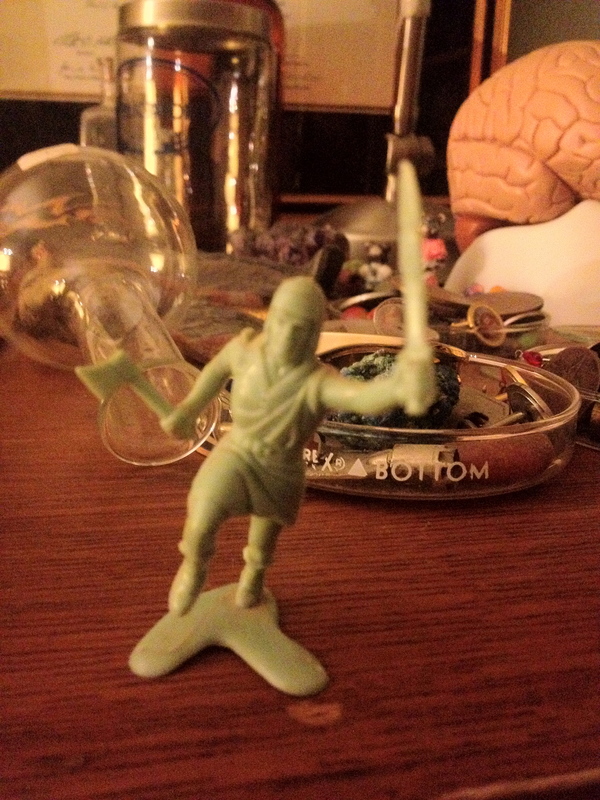 The instigator of this crime against me just laughed and told me that if I didn’t accept her simple minded pseudo spirituality she would ruin me and that in five years I would either be “dead or wish you were dead.” In light of the current epidemic of physician suicides I now know her intent. She thought she could make it so unbearable for me that I would kill myself as so many doctors have because of these criminals. Well she did her best but much to her dismay I’m still here and will be a thorn in her side and others until these sinister sociopaths are seen for what they are and held accountable. Interestingly the American Humanist Association became aware of my plight and tried to help me. They wrote the state of Massachusetts and the Medical Board objecting to them mandating a belief system against my religious views. They asked the state to correct and remedy this Constitutional violation as their actions violated the Establishment Clause of the 1st Amendment four times! The states reply was a non reply. 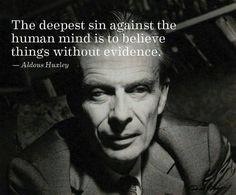 They simply replied they did nothing wrong and basically told the humanists to mind their own business. That is why this group is getting away with mandating doctors to 12-step across the country. They just ignore the violations and keep them out of the public eye. That my suspension was an Establishment clause violation in and of itself is undeniable. 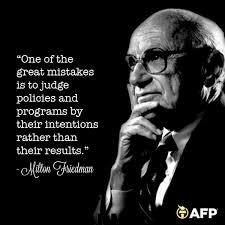 Yet they have not even acknowledged the error let alone correct it. meetings. On February 6, 2013, BRM suspended Langan’s license for failing to attend the meetings. So what’s the status now, Dr. Langan? Are they going to back off, or intend to do more harm to you? Have you analysed the North Carolina v. FTC case in the 4th Circuit, and then in the U.S. Supreme Court? I hope these questions will give you a pose with respect to the kind of State “sovereignty” sham we are tolerating in this country, causing more damage to the medical profession than good! When I went for an interview at the TxPHP a couple of years ago, the PHP director, Dr. Nemeth, now retired, told me he could tell if someone was an alcoholic by “looking at them”. I knew then that I was in for it, having entered Wonderland.